Zhongshan information: the requirements regarding your stay, with explanations about tours and convenient solutions for hotels and rooms accommodation. 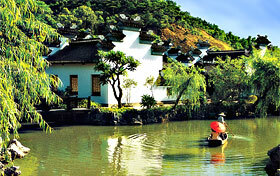 Resorts: Zhongshan and China reservation system, discounted hotels at budget prices. Travel: you can update about Zhongshan tours to discover the main highlights and to visit the wonderful tourist lands in the surroundings. Zhong Shan City is the prefecture-level city under province of Guangdong, divided into 24 town Districts, lie in the south in Pearl River Delta, connect with Guangzhou in the north , adjoins Hong Kong and Macro, the whole area in the whole city is 1800 sq. km., annual average temperature 22 degrees, the population of household register is 1,380,000. 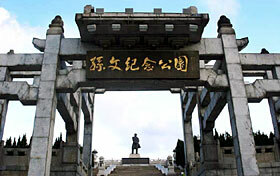 Zhongshan is the homeland of Sun Yat-sen, great revolutionary forerunner of our country, is the famous overseas Chinese hometown. Give a recommendation scenic spot as follows, Zhongshan Park, the hall of butterfly of Zhongshan, the science hall of Zhongshan, Guangfeng village water travel around township, Zhongshan maritime manor, people park of Xiaolan town, the hot spring spring, watch dragon's floor , the gentle tower of the mound peak , the Buddhist temple of Western Hills, Western Hills peak, the south mountain ancient fragrant forest , " given to doing charitable work " workshop, mountain of Luosanmei, the former residence view of Zhengguangying, fit the memorial archway of the hall, leave a good name in the workshop, one pair of beautiful bridges in one hundred ages .